Exercise & Supplements - Why You May Be Slowly Killing Yourself and Don't Even Know It! Here's Why 3 Times As Many Athletes Drop Dead On a Basket Ball Court than In a Boxing Ring! G'day folks, and welcome to our October edition of Life Saving Health Solutions. Thank you once again for being a part of our health circle and I hope you enjoy today’s newsletter and the information I'm going to be sharing with you. Well, it means if you exercise and you don’t take nutritional supplements, you aren’t actually being healthy at all. In fact, all you’re doing is sending yourself to an early grave! The biggest lie anyone could ever buy into is the medically induced myth that “You can get all of the nutrients you need from your diet”. How many doctors and nutritionists are still pedalling this rubbish! It’s now an established fact that the nutritional content of the foods we’re eating today has dropped sharply in the last 50-100 years. Today we’re eating nothing but nutrient dead, chemically laced, artificially altered produce that, quite frankly, you wouldn’t even feed to your chooks if you knew what was really in it! This is a whole discussion in itself, and you can read more about how the nutritional content of our food has steadily declined over the last 100 years - with the necessary proof - in our first newsletter article here… Soil Depletion is Now The Greatest Threat to Human Survival! So getting back to exercise. When you’re in the gym pumping out those exercises or strutting your stuff in a power walk, you’re sweating (if you’re working hard enough that is). And when you sweat you don’t just sweat out salt, you sweat out all of the essential nutrients as well (you gotta love it when the sweat hits your eyes and gives you those awful blinding stings!) And the problem is, an athlete actually sweats more in 3 years than a couch potato sweats in 35 years! 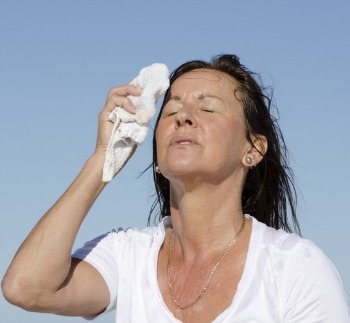 Also remember too, if you work in a physical job where you sweat then this is also classed as physical exercise. Now the problem is, if you’re losing your essential nutrients (everyone actually experiences nutrient loss over time but exercise speeds up the process) and you don’t replace them, it doesn’t take a rocket scientist to work out that eventually you’re going to be left with no money in the bank, so to speak. For instance, take your heart (I mean, don’t literally take it or you’ll die), it needs magnesium and the trace mineral selenium to expand and contract properly and continue pumping. If you aren’t constantly replenishing the supply of these nutrients to your body then over time they will be lost as a normal occurrence (and exercise speeds up the process remember). The result will be a cardiomyopathy heart attack at some point! This is why athletes who don’t believe in taking nutritional supplements regularly suffer heart problems or drop dead of sudden heart failure. Marathon runners, soccer players, football players, hockey players, basketballers, you name them, they’re all dropping dead like flies. Of course, the medical profession say its genetic diseases that are the cause (everything’s genetic nowadays, according to them) and they would surely never admit that it might be nutritional deficiencies causing the problem or else there would be no need for their expensive heart surgeries and toxic pharmaceuticals. • Back in 1994, famous marathon runner and best-selling author Jim Fixx collapsed and died of a massive heart attack at the age of 52 just after finishing his daily run. • Jockey Frank Hayes was 35 years old and riding a 20-1 horse named Sweet Kiss when he actually died right in the middle of a race at Belmont Park in New York. This probably wouldn’t have made front page headlines if it wasn’t for the fact that the horse went on to win the race with the dead jockey on his back. • Charles Hughes was a backup wide receiver for the Detroit Lions who collapsed and died of a heart attack. He is in fact the only player in the history of the NFL to die on-field during a game. • 32 year old Latvian hockey player Sergei Zholtok spent 9 full seasons in the NHL, playing with Boston, Ottawa, Montreal, Edmonton, Minnesota, and Nashville before returning to his native country to play for HK Riga 2000 in the Belarussian pro hockey league. It was during that season the 31-year-old was forced to leave a game and walk back to the dressing room before he collapsed and died in the arms of a teammate. • Darryl Kile revived his pitching career with the St. Louis Cardinals in 2000 at the age of 31, winning 20 games for the first time. Unfortunately, his career and life was cut short only two years later. Kile died in his sleep at his team’s hotel in Chicago on June 22, 2001. Suspected cause was cardiac arrest. • Spaniard Antonio Puerta made his soccer debut with Sevilla FC in March of 2004 when he was just 19 years old. Sadly, his last game would come only three and a half years later. On August 25, 2007, he collapsed during a game and died 3 days later from cardiac arrest. • Sergei Grinkov and his partner Ekaterina Gordeeva won Olympic Gold in the pair’s figure skating for Russia at the Winter Olympics in 1988 and 1992. They were still in top form and training for a “Stars on Ice” tour in 1995 when Grinkov suffered a massive heart attack and died instantly. • Just one season removed from his first and only appearance in an NBA All-Star Game, famous Celtics forward Reggie Lewis experienced sudden cardiac death during an offseason practice match on July 27, 1993. He was just 27 at the time. • Broncos running back Damien Nash died on February 24, 2007, at the age of just 24. He collapsed at a home in suburban St. Louis after participating in a charity basketball game benefitting the Darius Nash Find a Heart Foundation in honor of his heart recipient brother. Ironically, the cause of death was sudden cardiac failure. • On July 22, 1979, St. Louis Cardinals tight end J.V. Cain collapsed and died at a pre-season training camp. It was his 28th birthday. Cause of death was congenital heart failure. • Jason Collier was the Atlanta Hawks 7 foot, 250 pound center. He was only 28 years old when he died suddenly in October of 2005. An autopsy concluded that Collier died from a “sudden heart rhythm disturbance”. • Joe Kennedy was a journeyman southpaw who pitched for the Rays, Rockies, A’s, Diamondbacks and Jays. Sadly, after the 2007 season the 28-year-old died suddenly in the middle of the night at the home of his in-laws in Tampa, leaving behind a wife and two young kids. The coroner concluded that the cause of death was heart failure. Other well-known athletes who died way too young from cardiac arrest include… Olympic volleyball star Flo Hyman (1986), NBA basketball star Hank Gathers (1990), “The Big Dipper,” Wilt Chamberlain (1999), five time NBA All-Star player, Pete Maravich (1988), NBA legend Dennis Johnson (2007), and all pro NFL player Korey Stringer with the Minnesota Vikings (2001). So What Are the Best Way’s To Put the Nutrients Back In So You Don’t Check Out Too Soon! If you don’t exercise or do a lot of physical work then you may be thinking that none of this really applies to you. Well, I would question that. Firstly, if you’re not exercising moderately 3-5 times a week then you definitely should be (this is not a “spanking” either, by the way, this is just an honest assessment). Exercise is certainly beneficial. But the secret is, you don’t need to overdo it and train like a mad man (or woman). A simple brisk walk or ride on your bike for 40 minutes is all you need. If you do want to go to the gym and train like an animal though, then go ahead and knock yourself out! Like I keep saying, just make sure you replenish your body properly with the right nutrients. I’ve been training and consulting with clients for over 18 years, and for me, the one thing they must adhere to is a proper diet and supplement program. If they’re not willing to do this then I won’t take them on. My goal is to help people live a longer and more active life. I won’t be responsible for putting someone in an early grave! Yes, already covered this. Just remember, you don’t need to make yourself look like Hercules either (although Dwayne “The Rock” Johnson did look awesome in the latest remake didn’t he?) nor do you need to make yourself look like Scarlett Johansson (she also looked amazing in The Avengers movies too I must admit). All you need to do is get “huffy and puffy” 3-5 times a week doing whatever exercise you enjoy. But like I said, if you do want to get into serious training then go for it! It’s true that none of us can rely on our foods giving us all of the essential nutrients we need anymore. Unless drastic changes are made world-wide as to how our foods are grown (nutrients put back in the soil, chemicals banned, GMO’s banned, etc) then things are only going to get worse. So it’s up to us to make sure we physically put the nutrients our bodies need into our mouths every day, rather than just hope (or think) the foods we’re eating contain everything we need. And the only way to do this is by taking nutritional supplements. Nutritional supplements must pass stringent tests to prove they contain what they say they contain. This is a good thing of course. So at least you know the nutrients you need are in the product, and of course, are physically going to go into your body! Remember this, your body can actually manufacture vitamins, amino acids and fatty acids (in small amounts) but it can’t manufacture minerals in any way, shape or form. So if you’re not replacing the lost minerals from your body every day… you’re basically dead in the water! Yes, I know I’m starting to sound like a broken record with this one but having a strong immune system really is as crucial as oxygen! When your immune system is at its peak, nothing can touch you, no illness, no disease, nothing. In addition, when your immunity is strong, your digestion and all of your bodily functions work better, which means better absorption of food, nutrients, antioxidants and important co-factors. So a strong immune system has a positive snowball effect on your entire body. Much more than you probably realize! So for some of the most powerful ways to stimulate and build up your immune system fast, have a read of our June newsletter (even if you’ve already read it, its worthwhile reading it again for a refresher). Here’s the link… Take Your Health to a Whole New Level With These Powerful Immune Boosting Tips! But… “Taking Vitamin and Mineral Supplements is a Waste of Money and Just Gives You Expensive Urine”. Victor Herbert was not much of a physician and not much of a scientist. He was a bully with one purpose: To restrain trade by harming competition to traditional allopathic medical practice. As the anonymous French physician once said: "Medicine has become a whore, and the pharmaceutical industry its pimp." Herbert represented this kind of medicine. .
Victor Herbert died from a malignant tumor back in 2002. You will find plenty of doctors like Victor Herbert out there (who, funnily enough, only receive around one hour of training on nutrition during their whole time in Medical school but are supposedly “nutrition experts” when they graduate) who will tell you that you can get all the nutrition you need from your diet. You will also find plenty of so-called “health articles” on the internet telling you the same thing. The choice is yours who you’re going to believe. Personally, I’d rather spend my hard earned money on what I like to call “supplement insurance” rather than health insurance (I don’t know why they call it health insurance when it has nothing really to do with health). And if that means I might end up peeing out a bit of “expensive urine” in the process then so be it. As the old saying goes… prevention is always better than the cure. To me, it’s better to prevent the illness or disease in the first place so you don’t need the cure (treatment) further down the track. Like I said though, the choice is always yours. Of course, if you’re an athlete or you exercise, you might want to give this extra serious thought. I suggest you start taking nutritional supplements and stick with them for one full year (never missing a single day). After the year is up, if you don’t feel at least twice as better as what you did before you started, give them away and go back to what you’re doing now. That’s the only real and true test! At least doctors are on the right track with this one. They’re urging all parents to stop feeding their kids hot dogs after new research found that children who consume more than twelve hot dogs per month are nine times more likely to develop childhood leukemia. They also found that expectorant mothers who eat just one hot dog per week during pregnancy increase their child’s likeliness of developing brain tumors later in life. Furthermore, a father who regularly eats hot dogs before conceiving a child also increases the likelihood that his child will develop cancer. Hog dogs contain chemical additives called nitrites, which are seriously carcinogenic!!! 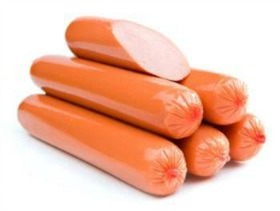 So if you must feed your family hot dogs, at least look for nitrite-free meats, or better still, cut out completely the amount of hot dogs you and your family eat. It won’t be the end of the world and you’ll all feel much better for it! Well, that’s all for this month. Until next time, stay safe and stay healthy. After being struck down with a severe and debilitating illness at the age of 26 and told by medical doctors that nothing more could be done for him, Troy Sawyer decided to find his own cure through natural recovery methods. Following three years of extensive research into nutritional therapy, he discovered that a deficiency of certain essential nutrients was the cause of his illness. He also discovered that over 90% of diseases are caused by a lack of these essential nutrients and that science has now been able to prove that health and longevity is virtually impossible if the body doesn’t receive these nutrients on a daily basis! The problem, however, is as a result of the radical changes in farming methods used today, the food we eat no longer supplies us with enough of these important nutrients. In Troy’s case, he had always eaten healthy foods yet still became sick. Only after he began to include certain nutritional supplements in his diet did he regain his health. Today, at 47 years young, Troy enjoys the kind of vibrant health and sense of well-being that most people long for, and has spent the last 18 years helping others achieve the same working as a health and wellness coach. He has also continued to further his knowledge and stay up to date on Natural Medicine and Nutritional Therapies by studying part time.